Mean Streets focuses on the streets, parks, schools, and commercial venues of Chicago from the era of the 1919 race riot to the civil rights battles of the 1960s to cast a new light on street gangs and to place youths at the center of the twentieth-century American experience. Andrew J. Diamond breaks new ground by showing that teens and young adults stood at the vanguard of grassroots mobilizations in working-class Chicago, playing key roles in the formation of racial identities as they defended neighborhood boundaries. 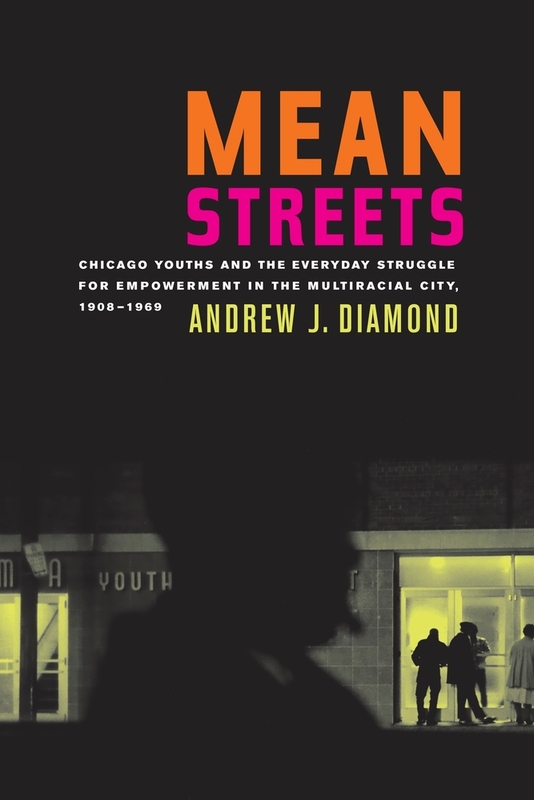 Drawing from a wide range of sources to capture the experiences of young Mexicans, Puerto Ricans, African Americans, Italians, Poles, and others in the multiracial city, Diamond argues that Chicago youths gained a sense of themselves in opposition to others. Andrew J. Diamond is Associate Professor of American History and Civilization at the Université Charles de Gaulle - Lille 3 in France. "In Mean Streets, Andrew Diamond brilliantly bridges social, political, and cultural history. His deeply researched account of Chicago's black, white, and Latino youth subcultures offers a fresh perspective on the entangled histories of identity, power, and place. This is a first-rate book. "—Thomas J. Sugrue, author of Sweet Land of Liberty: The Forgotten Struggle for Civil Rights in the North. "This excellent social history of Chicago's youth gangs not only demonstrates their centrality to the vaunted community and turf consciousness of the city's neighborhoods; it also explains the widespread ethnic and racial conflict that has characterized the city for most of the twentieth century. Diamond accomplishes this with a remarkable amount of empirical research on the gritty streets, playgrounds and parks, dance halls, 'can houses' (brothels), and industrial wastelands in, between, and around these neighborhoods. "—James R. Barrett, author of Work and Community in 'The Jungle': Chicago's Packing House Workers, 1894-1922.